Today, in a seminar at CERN, the LHCb collaboration has presented an exceptional result on a very rare decay of a particle called Bs0. This observation marks yet another victory for the Standard Model (SM) of particle physics – the model that explains, to the best of our knowledge, the behaviour of all fundamental particles in the universe – over all its principal theoretical alternatives. The LHCb collaboration has reported the observation of the decay of the Bs0 meson – a heavy particle made of a bottom anti-quark and a strange quark – into a pair of muons. This decay is extremely rare, the rarest ever seen: according to the theoretical predictions, it should occur about 3 times in every billion total decays of that particle. Event display from the LHCb experiment shows examples of collisions that produced candidates for the rare decay of the Bs0 meson. Image credit: LHCb Collaboration. The decay of the Bs0 meson has been long regarded as a very promising place to look for cracks in the armour of the Standard Model, which, despite being our best available description of the subatomic world, leaves some questions unanswered. Therefore, over time, physicists came up with many alternatives or complementary theories. A large class of theories that extend the Standard Model into new physics, such as Supersymmetry, predicts significantly higher values for the Bs0 decay probability. Therefore, an observation of any significant deviation from the SM predicted value would suggest the presence of new, yet unknown, physics. 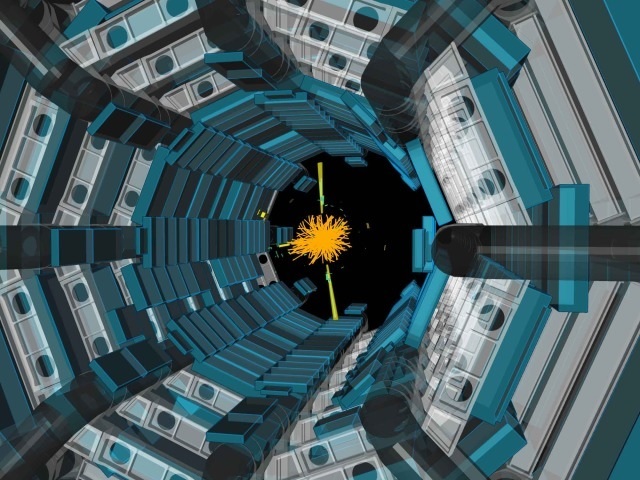 The experimental value found by the LHCb collaboration for this probability is in an excellent agreement with the one predicted by the theory, and the result is confirmed to a very high level of reliability, at the level of 7.8 standard deviations: that is, the scientists are extremely sure that it hasn’t occurred just by chance. The LHCb collaboration obtained the first evidence of this phenomenon in November 2012, with a significance of 3.5 standard deviations. Three years later, together with the CMS collaboration, LHCb obtained the first confirmed observation in May 2015, with a significance of 6.2 standard deviations (for more information read the CERN Press release and the paper published on Nature ). This new finding limits the room for action of other models of physics beyond the SM: all candidate models will have to demonstrate their compatibility with this important result. 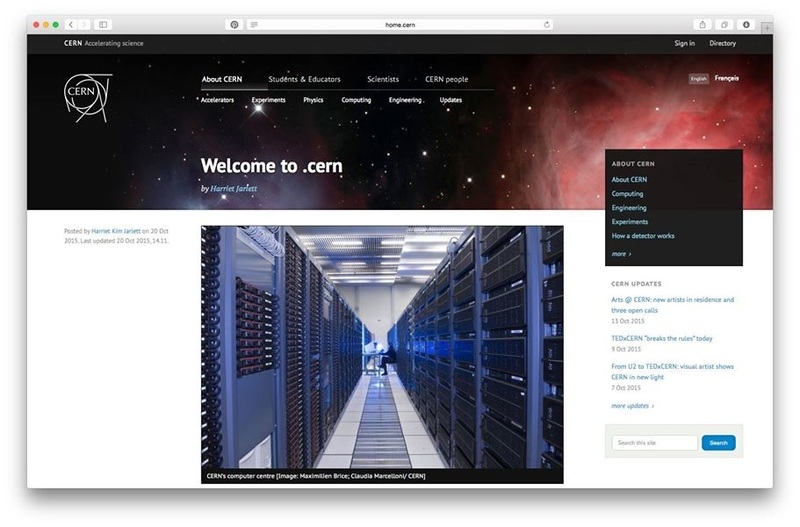 Further reading on the LHCb website.